When James Miller presented a short video about badgers he talked himself into becoming the Cairngorms Nature Young Presenter of 2016, and he has been given his first assignment, to make a film about Cairngorms Nature. 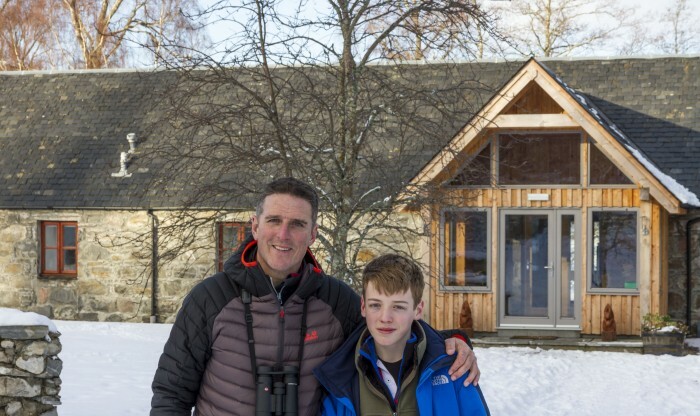 James and his family are in the Cairngorms enjoying their Speyside Wildlife holiday prize and he has spent the day with BBC Springwatch’s Iolo Williams. They have been making a short film in the Cairngorms National Park which will be used to encourage other young people to get outside and discover nature for themselves.